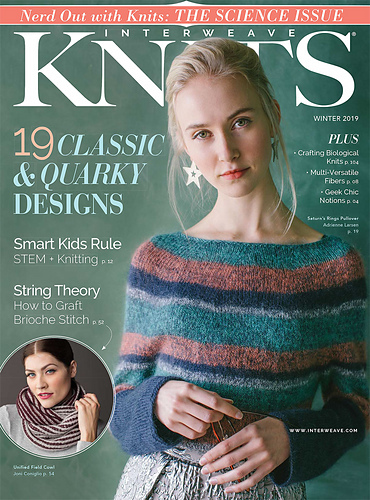 Welcome to Interweave Knits Winter 2019: The Science Issue! 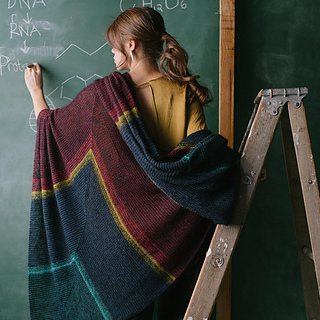 We’ve curated a collection of 19 designs inspired by the natural sciences and astrophysics. 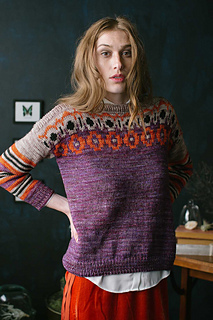 From the sediments of the earth’s crust to far-reaching nebulas, this issue is filled with knits that appeal to our curiosities about the world around us. 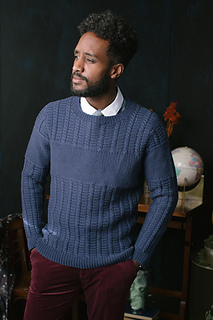 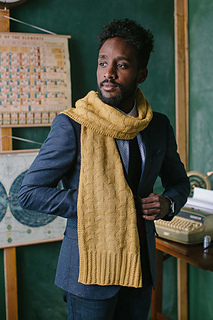 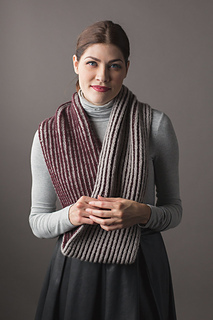 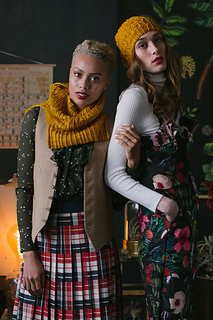 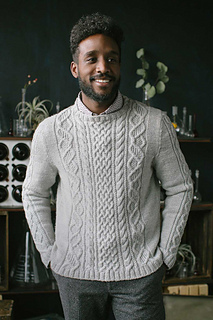 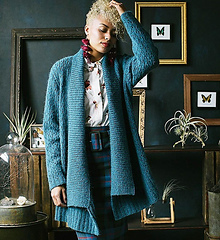 Interweave Knits Winter 2019 includes garments and accessories that represent the periodic table of elements, the rings of Saturn, pictures from the Hubble space station, and so much more. 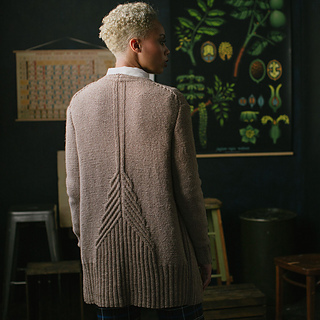 Learn about how kids are taking to STEM and knitting, designer Andrea Cull’s fascination with bioknits, and the science of grafting two-color brioche.